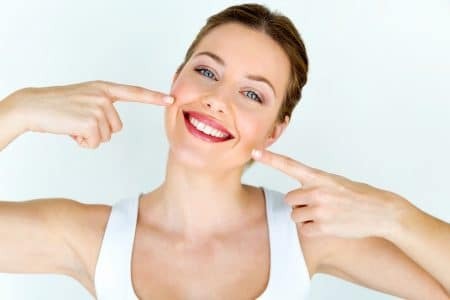 First, remember that when you want to find out how you can achieve a whiter smile, you’ll have to begin at the very beginning with a cosmetic consultation. This is essentially just a time for us to check up on your smile, so we can be sure you’re ready for cosmetic care. If not, you can schedule whatever restorative care is needed to get your smile into tip-top shape, so you’re ready to work on its esthetics. It’s also time for us to discuss every last particular. You can tell us about what your dreams are and we can explain which treatment best lines up with helping you reach your goals! When what you need is for us to help you remove stains from your smile, we can do so with teeth whitening. This is a very popular method of helping patients attain whiter smiles. With the help of a bleaching gel that penetrates your enamel and breaks those stains up, the stains disappear, revealing your snowier looking grin. However, it’s not for everyone! Bonding: Dental bonding is a means of camouflaging stains, through which we use color-customized composite painted over the surface of the affected teeth. This is something we may use for multiple teeth or even to cover a single tooth or stain. Veneers: Porcelain veneers are little shells that are constructed with an extremely thin finish. Made of color-customized porcelain, they allow us to cover up stains for a beautiful finish, as we bond them to your teeth. In order to leave discoloration in the past, as you move forward toward a brighter, whiter smile, you need to come in to receive cosmetic care. Remember to schedule a consultation soon, so we can get the ball rolling! To learn more, or to schedule your consultation, call Family First Dental in Overland Park, KS, today at 913-381-2600.